An MS EXCEL based daily log for monitoring the output of linear accelerators using a 5 point monitor chamber. Off axis ratio from Beam Profiles can be matched by fine adjustments of PDD. Data from 10 different Varian LINACs were compared. Output factors and Wedge factors were within 1% if measured the same way. Data was also compared to Varian's Golden Beam Data. EGS_WINDOWS is a matlab version of the EGS_WINDOW code (that was developed and distributed for Linux systems). Fast Real Time Calibration of Varian Linacs from 2008 AAPM poster session SU-GG-T-208. No voltmeter required. +/-0.2% accuracy in a few minutes. This is a shielding report for a new high energy (6/23 MV) installation, with calculations based on NCRP 151. Contains function write_rectangular_efs() will generates an iCom file for an arbitrary rectangular field. Function call_write_efs() illustrates its usage. Scripts are for Agility model only, but could be modified for other machines. Brief document describing the clinical implementation of a modified Winston-Lutz test. This test measures IGRT system end-to-end positioning accuracy with a precision of ~0.1 mm. It can be performed in less than 5 minutes. Just a sample spreadsheet to compute or verify your TPS MU computation for 6 MV and 15 MV photons. 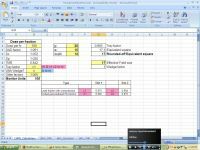 A macro enabled excel spreadsheet to check for patient gantry collision when planning SBRTs or RapidArcs. Gantry and couch data was measured on a Varian Trilogy. This Pinnacle Script is to be used with NameBeam.Script (Pinnacle_Script_for_Naming_Beams), and will change the name of all the radiation beams in one trial to reflect the angle of incidence relative to the patient. This Pinnacle Script will rename a radiation beam based on the angle of incidence relative to the patient. The .txt extension on the file can be changed to .Script. 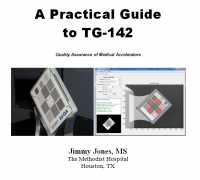 Radiotherapy equipment specifications, including evaluation criteria.